Extracurricular Activities : Dance and Music. Sports. Local competitions in Kho-Kho, Kabaddi, Writing and Speech. Semabhardar is located on an 800 m elevation, about 13 km North-West from Rudraprayag, on the Rudraprayag-Kedarnath Road near the town of Tilwara. There is a Durga-Shiva Mandir 3 km away. Nearby, Suryaprayag is located at the confluence of the Mandakini River and a small local river. Suryaprayag is best known for the historical insurgence where the locals fought for the abolition of kingship and the establishment of democracy. 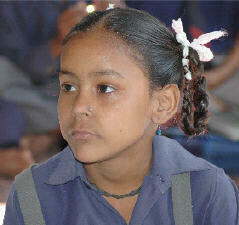 The Omkarananda Megha Bal Vidyalaya is in a solitary single storey building surrounded by terrace fields all around. 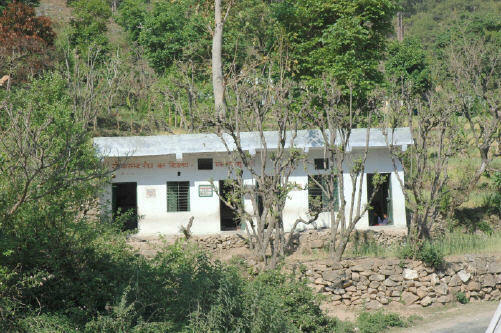 The School has been founded in 2001 and runs Classes Nursery to Classes V and serves the children from four nearby villages within a radius of 4 km. The students learn Garhwali songs and dances during their free time. They also engage in sports activities for an hour a day and compete locally in Kho-Kho, Kabaddi, Writing and Speech competitions.